Let’s face it. If you have a perfect/excellent credit score, there is no doubt that at some point someone will approach you to be a guarantor to a loan. In the past, the requests used to be from family members or close friends. However, nowadays, even work colleagues and acquaintances have no qualms asking you to be a guarantee to their loan. In all honesty, being a guarantor can actually help a friend or even a family member easily access a loan not to mention the chance for them to improve their credit rating in the foreseeable future. However, as noble as your intentions might be or as much as you might want to help someone, you can’t be blind to the fact that there are inherent risks that come with being a loan guarantor. It is for this reason that this particular article endeavours to shed light on risks of being a loan guarantor. In principle, under a guarantor loan, you bear the responsibility of repaying the borrowers loan in the event that they default. This in essence puts your prospects of getting approved for a loan in the future in jeopardy especially if your prospective lender after making calculations decline your loan application on the basis that your income is not enough to service repayments of two loans. Note that should the borrower default on the loan, you are bound by law to repay the loan and so even though the borrower has not yet defaulted, your prospective lender will deem it as if you are servicing another loan. In light of this, you need to take this into consideration before being a guarantor. While you might have a good heart and guarantee someone in good faith, there are borrowers who simply take this for granted and might actually abdicate their duties to the loan simply because you automatically become responsible for the loan in case of a default. When this happens and you refuse to pay up the loan, you risk being declared a defaulter which essentially means a blot in your credit report. Being declared a defaulter could actually lead to the loss or seizure of your property not to mention your inability to avail a loan in the future. Granted, it’s impossible to predict what might happen in future. Your best friend now could be your worst enemy in the foreseeable future. For one reason or the other, you might not wish to be associated with a colleague, a close friend or even a family member and as such wish to be discharged from being a guarantor. Unfortunately, this cannot happen as you are legally tied to the loan for its life and any defaults by the borrower means that you have to step in and pay up. In light of this, you need to carefully think and weigh the risks before becoming a guarantor to a loan! In a nutshell, being a guarantor is not a bad thing. However, we strongly recommend that you give it deep though before signing up for it. 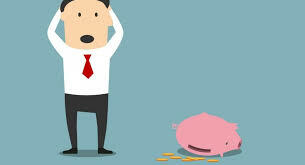 To reduce risk, ensure you know very well the kind of borrower you wish to be a guarantor to or simply be a guarantor to a small loan amount that you won’t face an uphill task repaying should things go south.